First time getting my hand on a plotter (HP Designjet 500) directly to print a poster, I found it was an interesting experience. But configuring the printer settings was not that straightforward compared to using normal office A4 printers. I took photos of how it was configured for reference of my own and also those who may need it. First, here is a picture of the HP Designjet 500 plotter, a pretty big printer. The poster I printed was designed using the PowerPoint software and I also printed it through PowerPoint. The poster size is 24″ x 36″ and the roll in the plotter is 36″. For other sizes of posters, you may need to adjust the settings accordingly. Okay, here comes the steps and configurations. 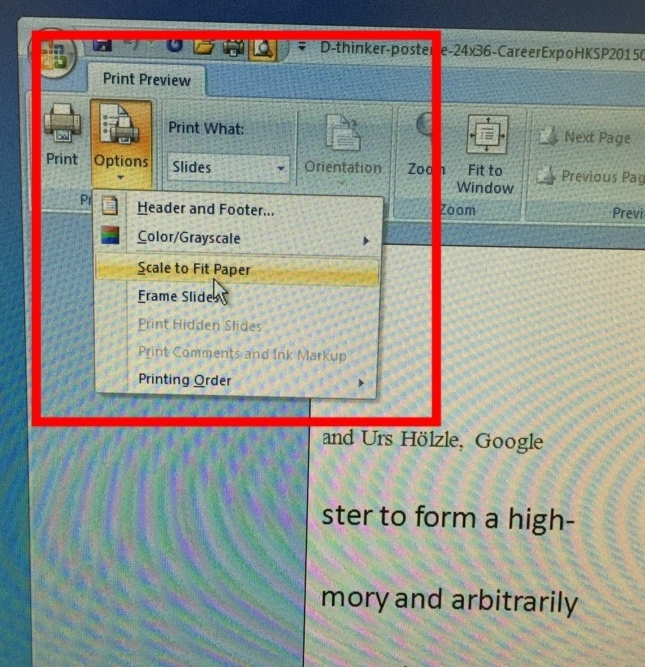 First, click “Print Preview” in PowerPoint and select “Scale to Fit Paper” to make sure it looks good in the preview window. 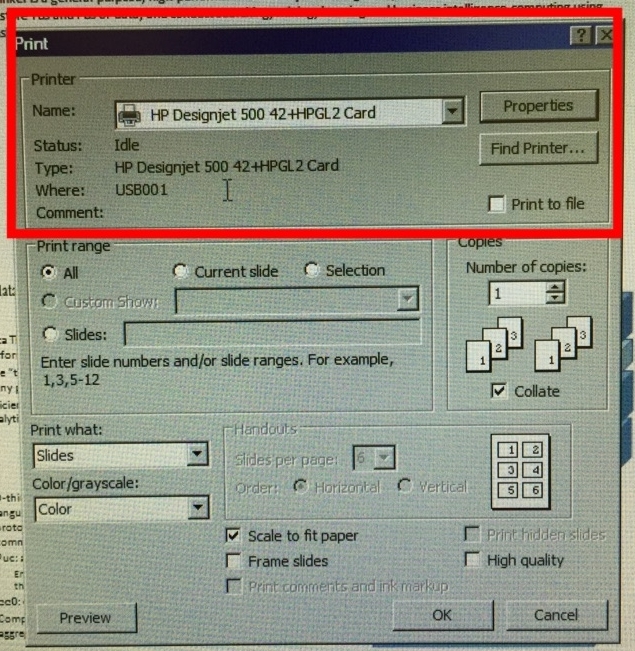 Then, click the “Print” button and select the right printer (HP Designjet 500 here). Now, let’s get to the most important part that configures the plotter by clicking on the “Properties”. 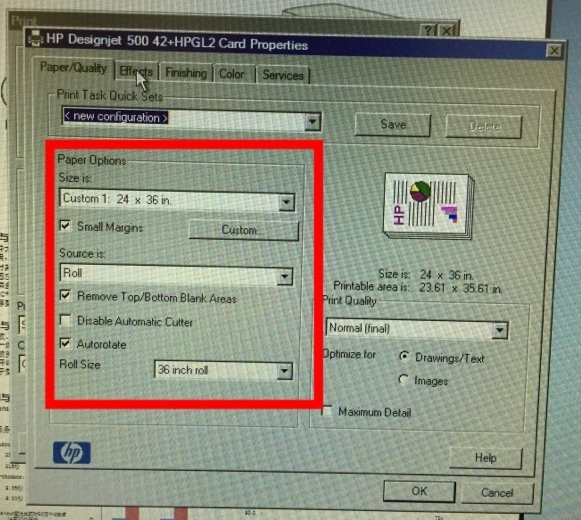 Following are the screenshots of the important settings for the HP Designjet 500 to print the 24″ x 36″ poster. As the roll is 36″ and the poster size is 24″x36″, we select the “Portrait” orientation + “Rotate by 90 degree”. 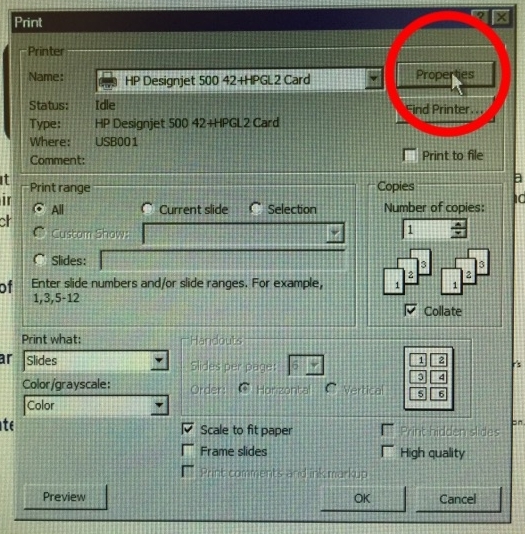 After making the settings, you can click on the “Ok” button in the “Print” dialog to make the plotter start to work. 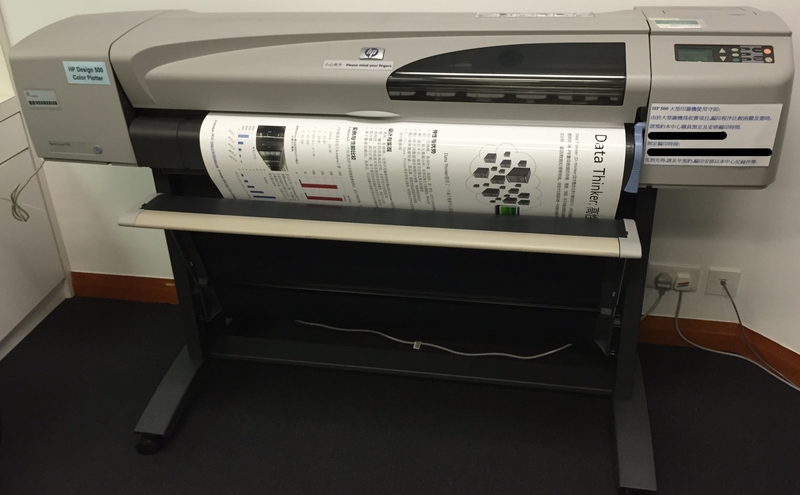 To print the 24″x36″ poster, the HP Designjet 500 plotter took around 20 minutes. Eric, Thanks for the great info. I’m having issues arranging multiple photos to print correctly on my HP500. Is there software you have used or recommend? Hi Philip, the software I used was simply PowerPoint..
Eric, I am trying to print a poster. 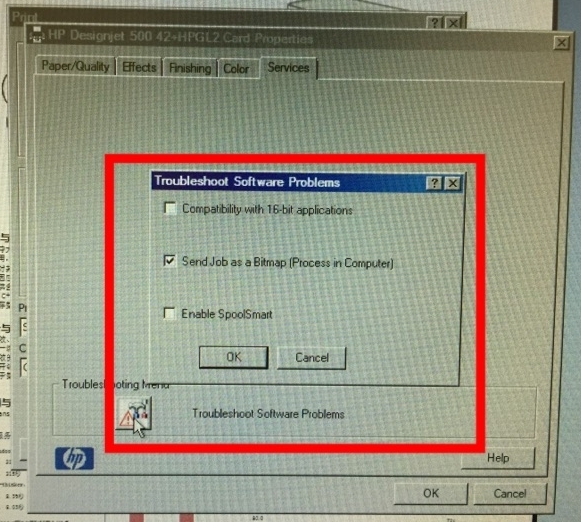 Having trouble getting a pdf. image sent to me by someone else ) to fill up the paper. It only pirnts an 8 1/2 x 11. I have done everything that your tutorial said to do that I could do. 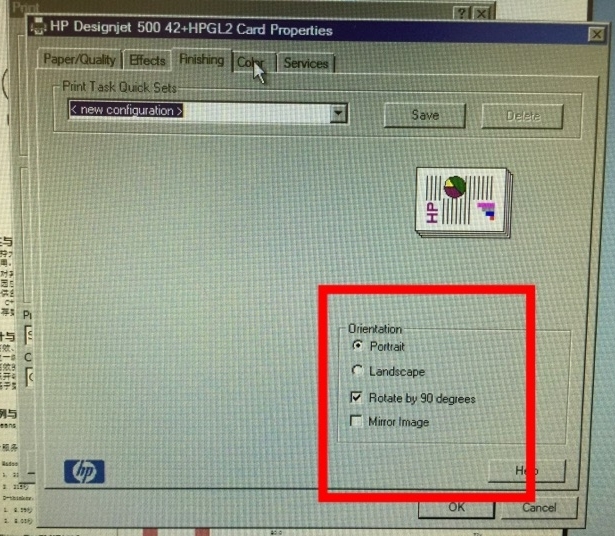 You may check the PDF view/printing software’s settings. This might not a problem from the printer setting part. This tutorial only covers the way for PowerPoint.